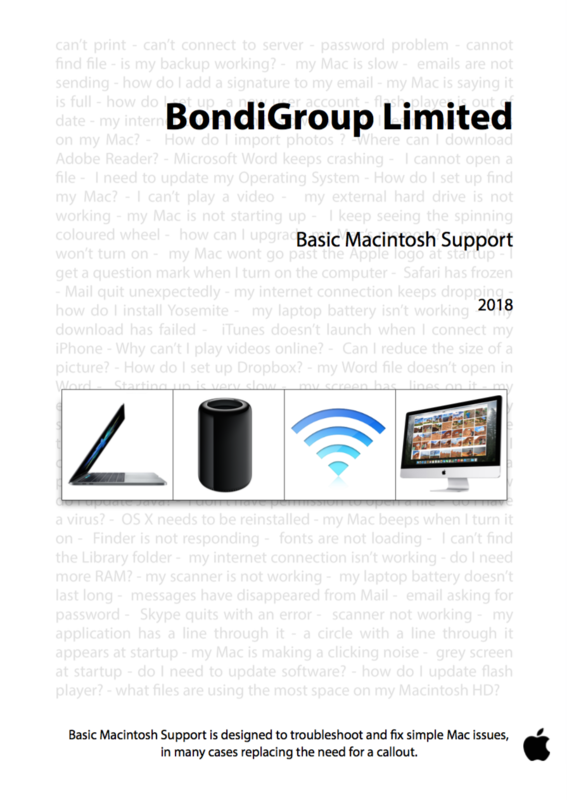 Basic Mac Support 2018 | Apple Mac Repair Dublin, Apple Mac Training Dublin, Apple Sales Dublin. BondiGroup Ltd. Basic Mac support gives you phone, email and remote support. It is designed to answer quick questions, fix simple issues, and in many cases replaces the need for a callout. Should you require additional services such as a guaranteed response time, real-time monitoring or onsite support, please contact us.